Order Your Custom Easter Baskets Now! Craving that ever-elusive perfect snack? Looking for unique party favors or gift baskets for your upcoming wedding, birthday party, or corporate event? Our locally-owned cotton candy & popcorn store makes about 50 delicious flavors perfect for any occasion, including seasonal varieties that are sure to please even the most persnickety of popcorn & cotton candy connoisseurs. Our treats are handmade fresh daily right in the store. 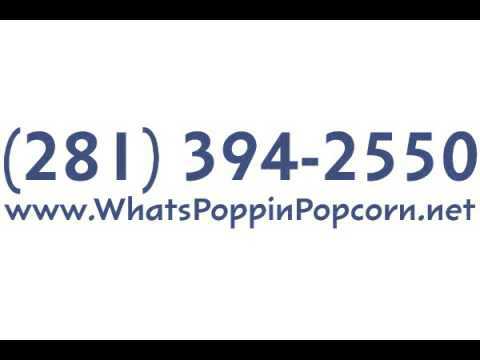 We're so confident that you'll come back for more that we offer free samples and a popcorn tin refill discount! Inquire about our custom tins, or choose from a wide array of in-store designs. For large orders, we can even craft custom colors and flavors! Try our pop-cones, which are perfect for parties, corporate gifts, and more. Shipping is offered nationwide, so you can place your order in-store, online, or over the phone. Visit or call today!